Continuing the theme of Nessmuk, Kephart, and others I wanted to highlight Colonel Townsend Whelen. 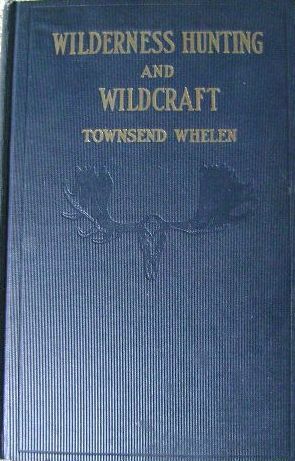 Not so much his extensive writing on ballistics, cartridges and so on, but more his personal reflections and philosophy on wilderness and woodsmen. He is an interesting character to be sure. Born in 1877, with a blue blooded lineage from Pennsylvania, little ambition as a youth he did however have a fondness for the wild places. He said later in life, "early on I seem to have formed a desire to wander off by myself into unfrequented country." This foundation led to a life of adventure, from his time in in military service to hunting and exploring much of Canada, the Rocky Mountains and the Adirondacks. "I gathered a little outfit which consisted of my .40/72 Winchester rifle, a .30/30 Winchester Model 94, the necessary ammunition, a light tarp 8x11 feet which I made, a pair of Army blankets and a poncho, a set of nested camp kettles, and practically nothing else. At Ashcroft (British Columbia) I bought a saddle horse for $25, two pack horses for $15 each, a stock saddle for $25, two sawbuck saddles for $5, and $25 worth of grub. An old prospector showed me how to pack the horses and throw the diamond hitch. The next morning I started out over the Telegraph Trail, bound for northern British Columbia." 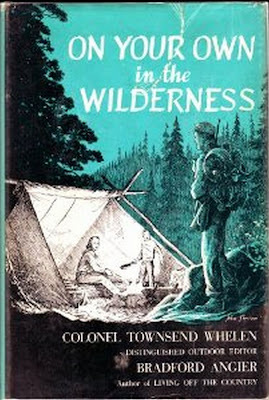 He went on to live in the wilderness there for several months and wrote about it after the fact. While living in the wilds he learned how to take care of himself and began to gather his knowledge on shooting and wildlife. He returned to Philadelphia in 1902. After taking an account of his financial situation he found that the adventure had cost him about ten dollars. He published his first article in 1901, he wrote for the duration of his life, his last work published in 1961, the same year of his death. 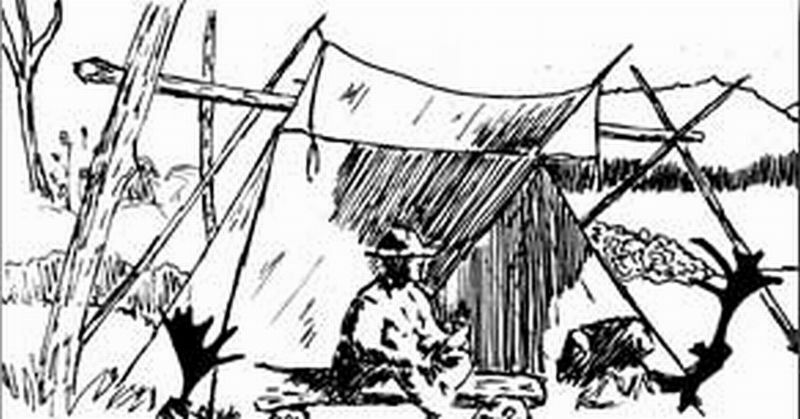 His camps were primitive but functional affairs, preferring a bedroll under a lean-to tarp of his own design to any tents. His belief was the tarp was good enough down to twenty below, he liked an open air camp. His lean-to design which he called a "Hunter's Lean-to" ultimately went into production in 1925 at Abercrombie & Fitch, which at the time was the premier outfitter of outdoors gear. They sold it as the "Whelen Lean-to" and it has been known as such ever since. The following are my favorite quotes from "Townie" as he was known then. “Scientists remind us that nature intended human beings should spend most of their hours beneath open skies. With appetites sharpened by outdoor living, they should eat plain food. They should live at their natural God-given paces, un-oppressed by the artificial hurry and tension of man-made civilization. Whelen was the epitome of an outdoors-man, consummate hunter, rifleman, more at ease in the wilds than most folks are in their own living rooms. He left behind a wealth of wisdom and knowledge in his writings. The two best in my opinion being On Your Own in the Wilderness along with Wilderness Hunting & Wildcraft. While his largest impact has been on ballistics, centerfire cartridges and rifles he left an indelible affect on woodsmen far and wide. Good post! I always thought the fellow had his head on straight, even concerning ballistics. 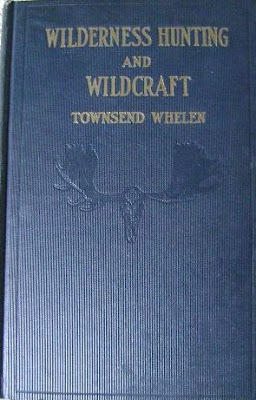 I hope Townsend Whelen will be remembered in future generations. I plan to introduce him to my grandsons in the near future. An excellent and pivotal figure, who helped form the modern American gun culture. He left behind a lot of good written stuff for us. Enjoyed your post. Brad & Vena Angier are two more wilderness writers worth your time. Thanks for your post! More informative than wikipedia.